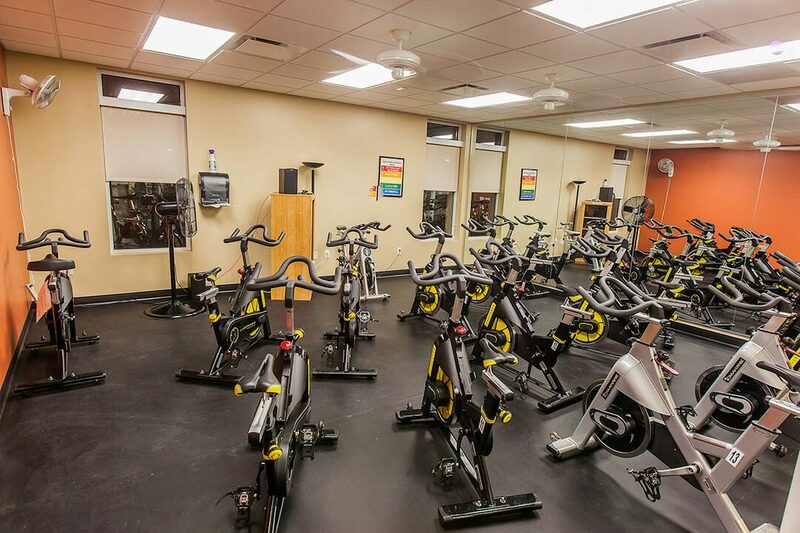 Lexington Medical Center’s state-of-the-art fitness and health program, Health Directions, was relocated to an unoccupied 1960s machinery shop just a block away from their former location. 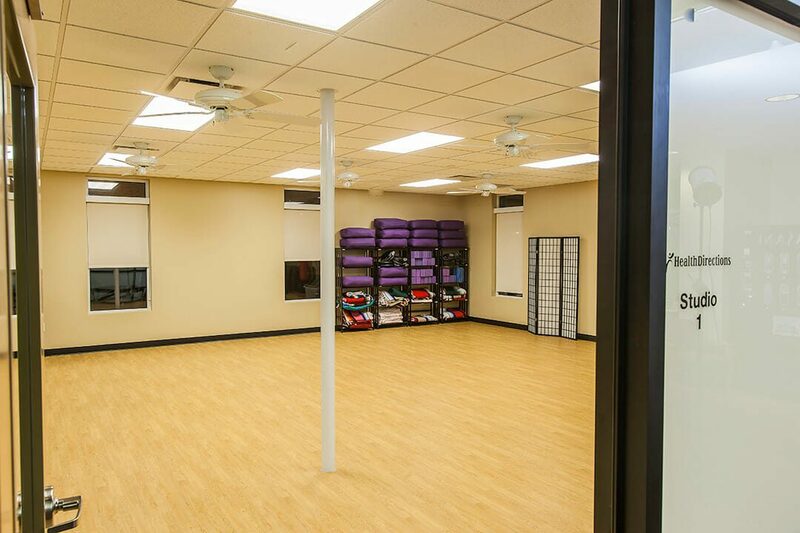 In addition to a large open fitness and weight training area, the renovation required the 12,000 square-foot program to include a group fitness zone, spinning room, personal training space, yoga studio, locker rooms, and offices. The larger spaces have been located along the existing exterior walls and take advantage of glass interior partitions allowing plentiful borrowed daylight to penetrate the interior. The original suspended ceiling grid has been removed, and the existing hybrid space frame structure exposed and painted white to allow increased volume and brightness. On the exterior, a newly detailed parapet replaced the dated mansard roof, and the façade has been brought back to life by refinishing the existing synthetic stucco façade and adding a contemporary entrance canopy.